This entry was posted on September 12, 2018 by Liam Rodgers. 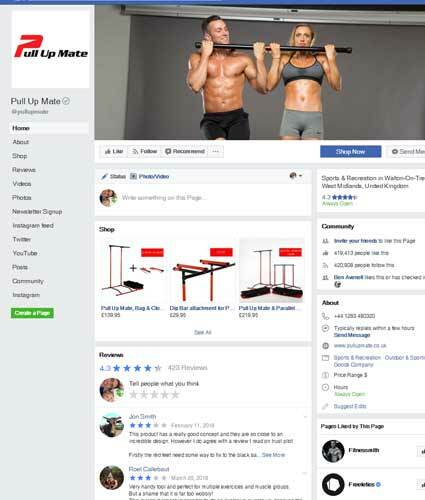 Most people are going to struggle with bodyweight pulls: chin-ups and pull-ups are a totally new movement for most of us. Gymnasts and other experienced athletes might make them look easy, but chin-ups require (and build) strength in the biceps and upper back. Despite being challenging, they’re also some of the most effective upper-body exercises you can add to your training. Comparisons to the “deadlift of the upper body” are common – the chin-up trains dozens of key muscles. If you can’t perform a chin-up yet, don’t despair: we’re going to take you from absolute beginner to being able to perform 10 chins. The Chin-up is the bodyweight pull that puts your hands in the ‘supinated’ position – your hands are facing you. You simply pull yourself up towards the bar until your chin passes it and lower yourself again. It’s simple, but it’s definitely not easy. Their popularity and reputation as the upper-body equivalent of the deadlift relies on the fact that it trains multiple muscles simultaneously. The grip trains your forearms, you need to use your core throughout the movement and the biceps play a key role. 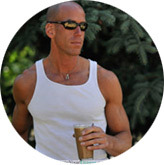 Despite all this, the main benefit is recruiting dozens of muscles in the upper back alone. These control the movement of the shoulder blades and connect to the neck – they’re essential for balancing and stabilising the shoulder joint. If you’re training with push movements like the bench or military press, it’s important to keep the muscles strong and balanced on both sides of the joint. Control here reduces the risk of injury and helps your long-term development. Grip the bar approximately shoulder width apart, with your palms facing away towards you with an underhand/supinated grip. Hang from the bar with your arms extended. Squeeze your shoulder blades together slightly, pulling your shoulders backwards. Imagine you’re trying to squeeze a big orange between your shoulder blades. Tense your abdominal muscles, drawing your belly button inwards towards your spine. This helps to activate your core, improve your balance, and make sure you’re using the right muscles. Pull yourself up, by closing the elbow joint and squeezing your shoulder blades down and together. You should think of this as starting by putting your shoulder blades in position, using the arms through the middle, then tucking your shoulder blades down at the top of the movement. Pause for a moment at the top and slowly, under control, lower yourself back down to the starting position. The lowering phase should normally take 2 to 3 seconds, and you should stay in-control all the way down. 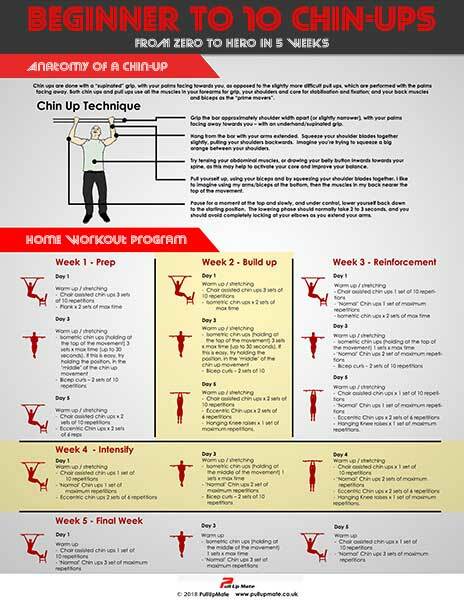 If you’re struggling to get your chin-up technique right, you can always find some guidance from gymnastic training resources or study the movement in more detail online. 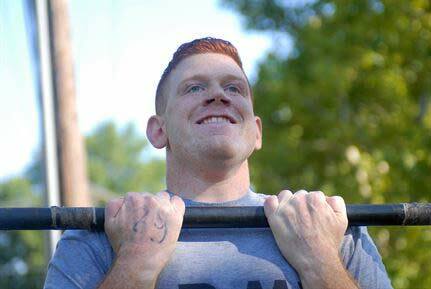 A ‘normal’ chin up can be quite a challenge for a beginner, or for someone who has quite a bit of bodyweight to lift. We all fit into one of these groups at some point and it’s not a reason to get disheartened – you just need to focus on the progression rather than the chin-up itself. There are a few other different types of chin up that can be performed to help master the technique and build up the strength required to perform 10 normal Chin-ups. This is our focus today – helping you develop the necessary strength to get to the full chin-up. Isometric exercise is a scientific name for exercises where you don’t move. Sound weird? It is – but it’s because holding still can be challenging with bodyweight exercises. The position you’re holding puts you at a disadvantaged leverage and simply staying still builds the muscles. This is perfect for chin-ups. The chin-up hold is one of the best ways to develop strength and familiarity with the movement when you’re a total novice. 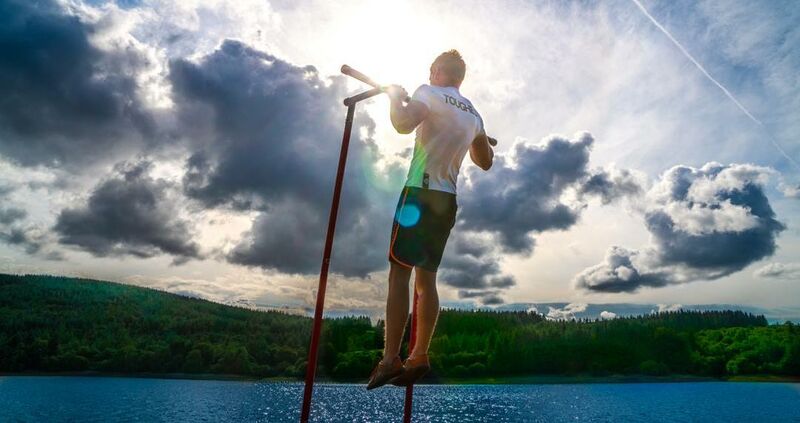 You simply jump up and hold yourself above the bar for as long as possible. This requires you to use the same muscles that are involved with the full chin, they just don’t have to move you as far, and it cuts out the challenging part at the bottom of the movement. This is a key exercise for taking those first few steps towards your first chin up. What do you do when you’ve gotten to the holds? You won’t be able to stay there all day and you probably don’t just want to get good at holding on for dear life. What we recommend is working on the ‘lowering’ part of the movement. This is where the muscles are being lengthened and you’re working with gravity rather than against it. This is easier to do – you’re stronger “eccentrically” than you are on the chin up. Once you’ve performed your chin-up holds, focus on controlling your descent. This is important for developing the technique of the movement, but it also helps you build further strength. Eccentric movements are also cool for improving the strength and health of the joint – they improve tendon stiffness for better future gains and reduced risk of injury. When you can’t perform a full chin-up, or very few, adding in this long, controlled eccentric can build muscle and strength. It’s the most specific way of strengthening when you can’t just do Chin-ups. While many people use assisted movements with a band, we’re not a fan of this approach. Adding a resistance band to a chin-up or pull-up radically changes the difficulty curve of the exercise. It takes away your ability to train the most difficult part of the exercise – the bottom! Getting past the bottom portion of the lift and improving control over the scapula (the region around the shoulder blades) is a key skill. Cutting this out and making the movement easier at the bottom skips out the hardest part. Inverted rows are much better options for developing the muscles and joints necessary for a pull-up. 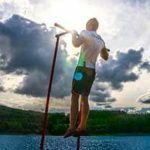 While the assisted chin promotes dropping down rapidly to get the band to help you, these simplified rowing exercises improve your control. You can elevate the feet and practice in different ways to get the best transfer to chins or pull-ups. There’s no one program that will enable everyone to hit the same number of reps by the end. You weigh more that some other people and less than others – you also have different strength levels. However, this program will make you better. If you can stick with it, you’ll have a decent shot at bashing out 10 reps in just 5 weeks. If you get more than you can do now, that’s still a big win. Always warm up – it reduces injury and improves coordination. Work on keeping your shoulders and upper back flexible and developing control. 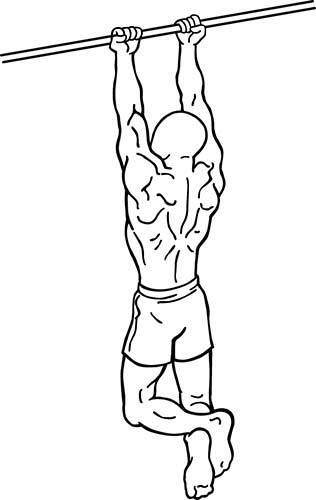 Hanging Knee raises: 1 set of maximum repetitions. Bicep curls: 2 sets of 10 repetitions. Hanging Knee raises x 1 set of maximum repetitions. ‘Normal’ Chin-ups 3 sets of maximum repetitions. Check out this handy infographic which you can print and stick up on your wall to help you stick to your workout goals. What if you can’t perform exactly 10 Chin-ups at the end of the program? What if you’re not able to achieve that goal? To start with, you can repeat the program. If you’re struggling to get past 5 chins, you should repeat from the start. If you got more than 5 reps, you should just repeat the final 3 weeks of the program until you get your 10. Because it’s a bodyweight movement, the Chin-up relies on you having a good balance of relative strength. If your bodyweight is simply too heavy, you’re going to need far more strength than someone who weighs a few kilos less. Improving your diet is a key aspect of improved performance and health – it needs to be a part of your chin-up routine. If you’re not recovering properly, that’s another sign of dietary weakness. You need to make sure you’re getting sufficient dietary protein, as well as key vitamins and minerals, to ensure that you’re progressing. Under-eating and under-sleeping are common reasons for being unable to continue getting stronger. Is this workout for the only male? or I can also do this?